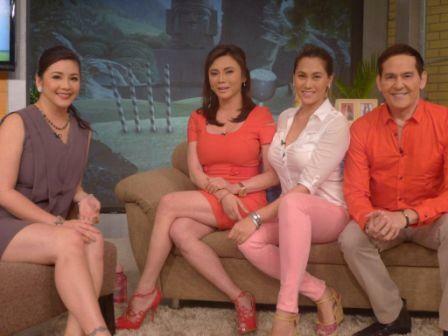 Dr. Vicki Belo, Atom and Cristalle Henares Cook with Regine Velasquez-Alcasid in Sarap Diva this Saturday! This Saturday (January 19) in Sarap Diva, Asia’s Songbird Regine Velasquez-Alcasid welcomes into her kitchen Dr. Vicki Belo, ex-husband Atom Henares and their daughter Cristalle. Regine's guilty pleasure is special baked ribs. The Belo's will prepare their special chocolate chip cookies which they share as gifts with celebrity friends. More than the recipes, secrets about their unusual and modern family set-up will be revealed. How do Vicky and Cristalle bond despite their different views especially on each other's lovelife? How has the former couple Vicky and Atom maintained a special kind of relationship through the years?